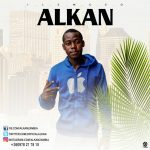 Omo Akin – Funwon ft. Reekado Banks. Star Nation recording artiste, Omo Akindrops the video to their recent single titled “Funwon”, featuring Mavin Records act, Reekado Banks. We totally love the crispy and eyecandy video as it gives more life to the already interesting single.